Is today’s stock market like fall 1998 or late 1970s? The newsletter editors I monitor are all over the map in arguing about which period of stock-market history is the closest analog to today’s market. Not surprisingly, they are issuing diametrically opposed forecasts on the basis of their chosen positions. Many of the newsletter editors I monitor see all the hallmarks of a 1970s-like stagflation just over the horizon. During the latter part of that decade the Federal Reserve inflated the U.S. economy to try to avoid a recession. But, far from robust economic growth, the result was anemic growth at best and soaring inflation. Gold skyrocketed, while stocks on the whole proved disappointing. Satyajit Das is laughing. It appears I have said something very funny, but I have no idea what it was. My only clue is that the laugh sounds somewhat pitying. One of the world’s leading experts on credit derivatives (financial instruments that transfer credit risk from one party to another), Das is the author of a 4,200-page reference work on the subject, among a half-dozen other tomes. As a developer and marketer of the exotic instruments himself over the past 30 years, he seemed like the ideal industry insider to help us get to the bottom of the recent debt crunch — and I expected him to defend and explain the practice. I started by asking the Calcutta-born Australian whether the credit crisis was in what Americans would call the “third inning.” This was pretty amusing, it seemed, judging from the laughter. So I tried again. “Second inning?” More laughter. “First?” Still too optimistic. Das, who knows as much about global money flows as anyone in the world, stopped chuckling long enough to suggest that we’re actually still in the middle of the national anthem before a game destined to go into extra innings. And it won’t end well for the global economy. Das is pretty droll for a math whiz, but his message is dead serious. He thinks we’re on the verge of a bear market of epic proportions. Such Puritan ideals – to work hard, to save for a better life – didn’t die from the natural causes of age and obsolescence. We killed them, willfully and purposefully, to create a new gilded age. As a society, we told ourselves we could all get rich, put our feet up on the decks of our new vacation homes, and let our money work for us. Earning is for the unenlightened. Equity is the new golden calf. Sadly, this is a hollow dream. Yes, luxury homes have been hitting new gargantuan heights. Ferrari sales have never been better. But much of the ever-expanding wealth is an illusory façade masking a teetering tower of debt – the greatest the world has seen. It will collapse, in a disaster of our own making. Distress is already rumbling through Wall Street. Subprime mortgages leapt into the public consciousness this summer, becoming the catchphrase for the season. 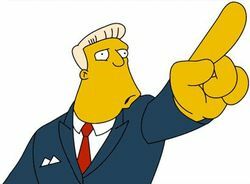 Hedge fund masterminds who command salaries in the tens of millions for their supposed financial prescience, but have little oversight or governance, bet their investors’ multi-multi-billions on the ability that subprime borrowers – who by very definition have lower incomes and/or rotten credit histories – would miraculously find means to pay back loans far exceeding what they earn. They didn’t, and surging loan defaults are sending shockwaves through the markets. Yet despite the turmoil this collapse is wreaking, it’s just the first ripple to hit the shore. America’s debt crisis runs deep. NEW YORK (CNNMoney.com) — Over the next few years, more than three-quarters of the nation’s housing markets will suffer some decline in home prices. Many will experience double-digit hits in a forecast that has worsened considerably in recent months. According to an analysis conducted by Moody’s Economy.com, declines will exceed 10 percent in 86 of the 379 largest housing markets. And 290 of the cities will experience price drops of 1 percent or more. The survey attempted to identify the high and low points of housing prices in each of the markets, some of which started declining from their peak in the third quarter of 2005. All are median prices for single-family houses. Nationally, Moody’s is projecting an average price decline of 7.7 percent. That’s a jump from the 6.6 percent total price drop that the company was forecasting in June and more than twice that of last October’s forecast of a 3.6 percent price decrease. 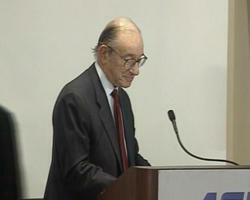 The Maestro – Alan Greenspan speaks – watch video here – We are doomed. The former Federal Reserve chairman Alan Greenspan has warned there is still a good chance the US economy will slip into a recession, despite this week’s cut to US interest rates. Mr Greenspan said the odds of a recession remain somewhat more than one in three, with home prices likely to fall further and damage consumer spending. Sept. 20 (Bloomberg) — Former Federal Reserve Chairman Alan Greenspan said the odds of a recession remain “somewhat more” than one in three even after this week’s cut in interest rates, with home prices likely to drop further and hurt consumer spending. NEW YORK (AP) — A big rate cut by the Federal Reserve and the stock market’s huge rally in response to that move has many on Wall Street wondering: Now what? The Fed’s decision Tuesday to slash its benchmark federal funds rate by a larger-than-expected half percentage point sent stocks soaring and lifted the Dow Jones industrials nearly 336 points. It also raised questions about the Fed’s next step and how markets might fare in the coming months. “I think it’s probably going to help stabilize things. It seems to me that the Fed had enough room on the inflation front to really get out ahead on this,” said Bruce McCain, head of strategy for Key Private Bank’s investment management unit. Before the Fed’s decision and even with recent moves to cut the rate it charges to loan directly to banks — known as the discount rate — Fed Chairman Ben Bernanke left some investors asking whether the central bank would cut rates at all in the face of concerns about inflation. With that question answered, investors rushed in and put stocks a good deal above their recent lows in August. The Dow’s jump — its biggest one-day point gain in almost five years — left the blue chip index only about 1.9 percent below its record close of 14,000.41 reached in mid-July.